What could be more fun than completely immersing yourself in creativity for a week? 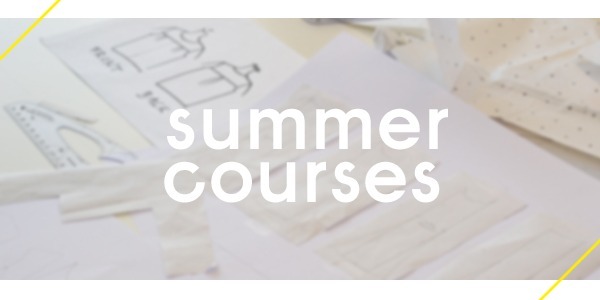 Whether you choose Fashion Design, Creative Pattern Cutting, garment construction, Fashion Styling or Fashion Forecasting, Marketing & Buying, all the summer courses are fun and full of promise. Don’t you have any experience? Do you think you’re too old or perhaps too young? Nothing is further from the truth, these courses are open to all, regardless of age and experience. Take a look at our website and make your choice. What can be better than having something interesting and fun to look forward to?